AT Pottery is a Responsive Furniture Joomla template which will be your nice place to show off all high-quality and aesthetics pottery products of your online store. It is a good looking Pottery Website template that provides you many great ideas for promoting products as well as updating your store newest information. The theme has been built with experienced developers and latest website technologies like drop-down menus, back to top button in order to bring visitors greatest experience while going around and shopping on your site. 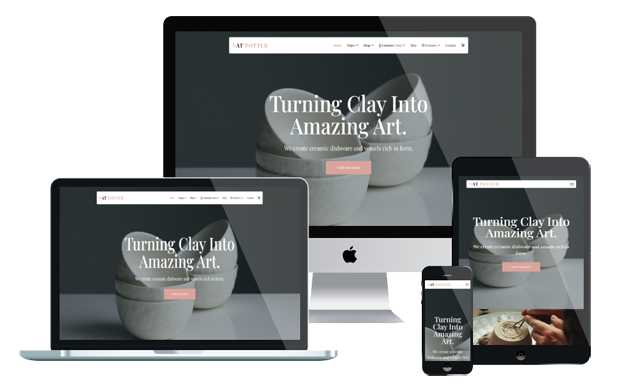 Using AT Pottery, your site will get an elegant but still modern look, without wasting your time to build and design, all you just need to do is install and then edit content! Besides, this theme also integrates with Virtuemart – one of the best Joomla Shopping Cart solution, which gives your customers a real shopping experience even when they are at home! Furthermore, it is supported with full responsiveness, so your site is still perfectly accessible on any kind of mobile devices’ screen sizes. Coming with Bootstrap CSS Framework, Support Font Awesome, K2 extended style, outstanding organized content with Google maps and webfont,…it will be a big loss if you ignore this amazing Pottery Website template. Come and give it a look!